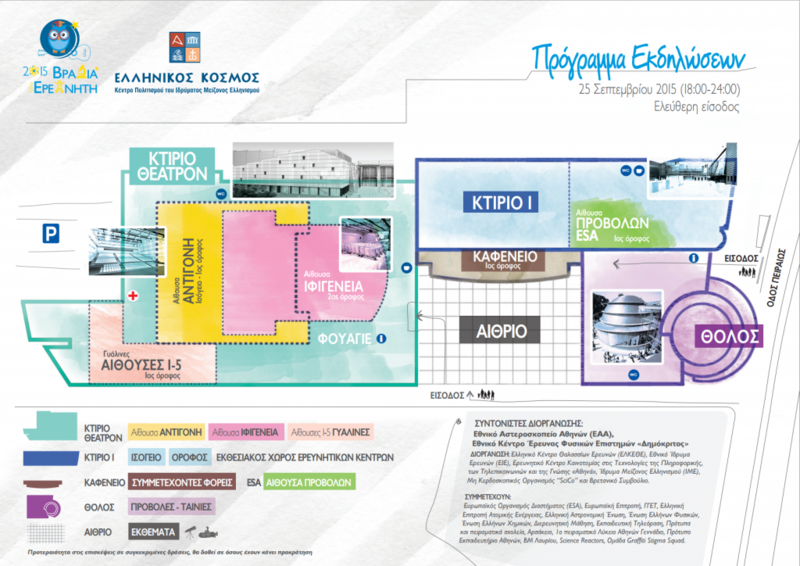 Athens is getting ready for it’s largest yearly Science festival, the Researchers’ Night. Athens, along with other Greek cities, join several hundred cities all over Europe and beyond, to celebrate Science and Innovation. Friday 25th of September at Hellenic Cosmos, Peiraios 254, Athens. 6:00pm to midnight. The five largest research centres in Athens join forces in order to present to the public their work: National Observatory of Athens, Demokritos Research Centre, Hellenic Centre for Marine Research, National Hellenic Research Foundation and the Research Centre Athena. 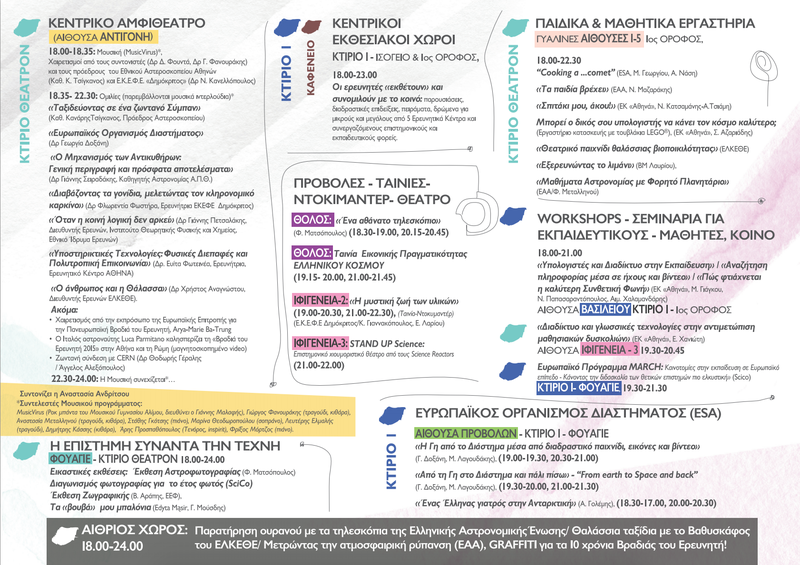 For more information on the program visit the dedicated website, www.rengreece.gr. Make sure you hear the researchers talk about their science. We interviewed them 2 months ago especially for Researchers’ Night. Listen to Dr. Efstratios Stratikos talking about Understanding Protein Biomolecules and the Human Immune System or Dr. Paraskevi Karachle, on Efficient & Sustainable Management of Resources in Fishery. Dr. Demetra Founda warns us of Rising Air Temperature in Athens, while Dr. Spyros Raptis introduces their new lab, HUBIC on Including Human Behaviour, Interaction & Communication in Machines. Over 20 interviews that will stimulate your brain!